Do you want to fight IBS? 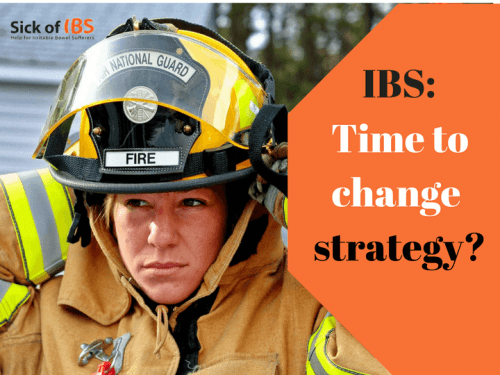 We all spend a great deal of time and energy working out how to fight IBS, and basically just firefighting. But what if there was a better strategy? What if your body was not your enemy, but was actually asking for your help? For your support? 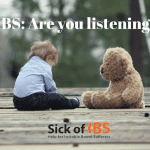 Asking you to listen to what is wrong, not fight IBS by looking for outside solutions? Asking you to stop putting yourself last on your to-do list because you have “more important things” to do? For me, this took a major mind shift. I had been used to using my brain – and dragging my body around like a handbag. And I didn’t even realize it. 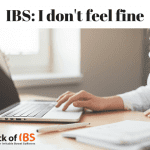 Changing strategy from “fight IBS” to “feel IBS” is what helped me put IBS behind me. Firstly listening to your body is a choice. You can go on ignoring your body and taking pills, but your symptoms won’t go away. And realizing this is necessary the first step. This means allowing yourself to come out of autopilot sometimes and listen. In theory this sounds easy, but it can be really hard to put into practice. We are so used to doing things to get results. that we forget that taking some time out or doing something just for the fun of it is necessary to balance our lives. The first time used this approach It was a real struggle. I felt guilty for taking this time “doing nothing”. It was unproductive and seemed to go against the grain. And it was yet another thing to put on my “to do” list. But think about it. Watching TV is unproductive too, but it is socially accepted. After a hard day, we think nothing of dropping onto the couch and watching TV. Yet while we are doing this (and it’s often for more than 10 minutes), we are focused on what we are watching (and often texting or catching up with social media at the same time…). And it doesn’t help us switch off and tune into ourselves. We can still watch TV, but we need to take some real time out too. You can start by consciously taking 10 minutes a day for yourself. This is actually really difficult if you are not used to it. There is always something else we feel we should be doing, something else to think about. The best way to set this in motion is to decide that this will happen after a specific time every day. It can be when you get up (though I have never managed this one myself), after lunch, before you sit down and watch tv. You choose. But it needs to become a habit. If it helps, write that 10-minute slot in your diary as if it were a meeting or an obligation. If you’re feeling tired, maybe you’ll use this 10 minutes to take a bath. Try to let your mind rest from its constant chit-chat. 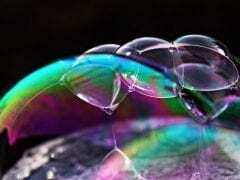 Just look at the bubbles, the different sizes of bubbles, and the colors reflected in them. And then take some time consciously looking after your skin. Maybe you’ll use this time to sit still and listen to some happy or soothing music – with your phone and TV off. Try to turn off your mind and just let the music take you on journey. And if you fall asleep, don’t worry. 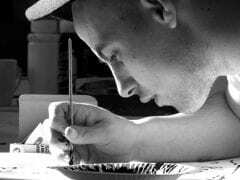 If you need to do something a little more active, why not doodle, or draw or color something. Just for the pleasure of it, not to get a result. Just to see where it takes you. Maybe play an instrument. Again, let yourself just play something you know. Who cares if you miss a few notes. Just enjoy the flow of it. Or give the cat a nice scratch, looking it in the eyes and smiling as you hit that amazing spot it just can’t get to. If your mind is really whirring, doing some mindful meditation can be really helpful. At Calm.com, as well as the free 7 days of calm, there are also some daily calm free sessions on resilience, gratitude, and impermanence that I find soothing. 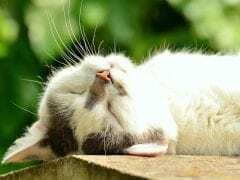 Don’t worry if your mind continues whirring a little, you will find you sleep better even if you disconnect just for a few seconds of the 10-minute program. Is doesn’t really matter what you do, as long as you find it enjoyable and stop hard thinking. You will gradually start to make room for feeling. And you will start reconnecting with yourself, feeling your symptoms and triggers.